Set includes two front disc hoses (for 3/8" inlets) and a dual exhaust rear drum hose. Features include factory brackets like original for easy and correct installation. The Stopflex 5 layer design features 304 stainless steel braided wire, Teflon hose and Kevlar braid. 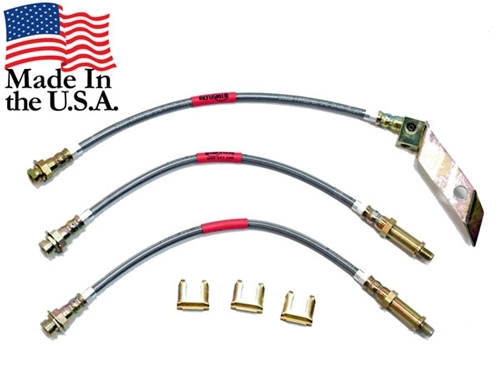 Upgrade those standard rubber brake hoses! !